Let the sun shine in! 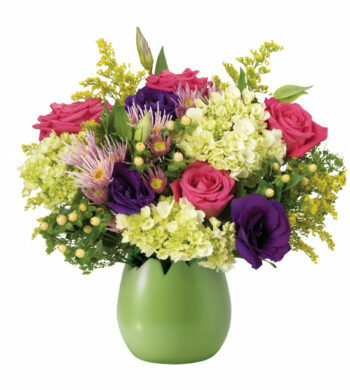 This brighter-than-bright pairing of springtime flowers is a wonderful way to brighten someone’s day – be it for birthday, get well, or just because. Asiatic lilies and Skyline roses open up to eye-popping proportions, creating a profusion of sunshine yellow blooms against the gorgeous green of Israeli ruscus inside our signature glass vase. Remove all foliage that will fall below the water line. 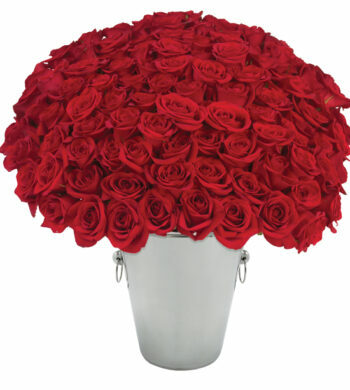 Remove the “guard petal” from each rose – this is the outermost petal left on to protect the bud during shipment. You may also remove any petals that may have slightly bruised during shipping. 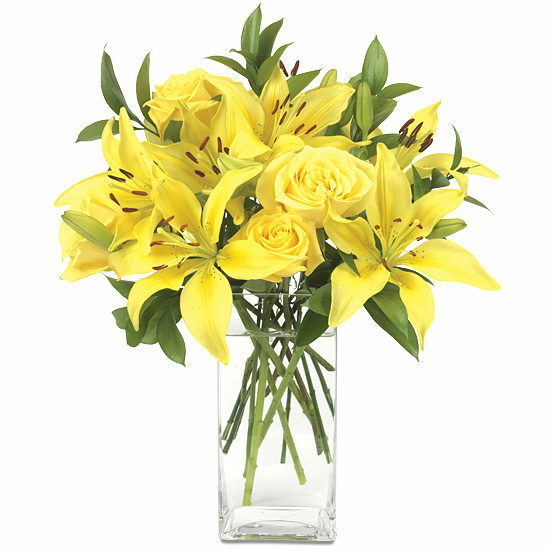 As the lilies open, you may gently pull off the pollen anthers to avoid pollen dust. Be careful not to get lily pollen on your clothing or linens. 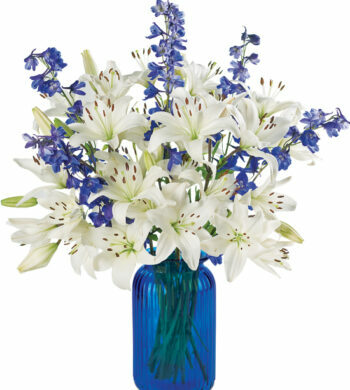 You may wish to place a protective mat under your bouquet to prevent pollen from falling on your furniture or carpet if you do not remove the anthers. Re-cut stems and change the water every 2 to 3 days.